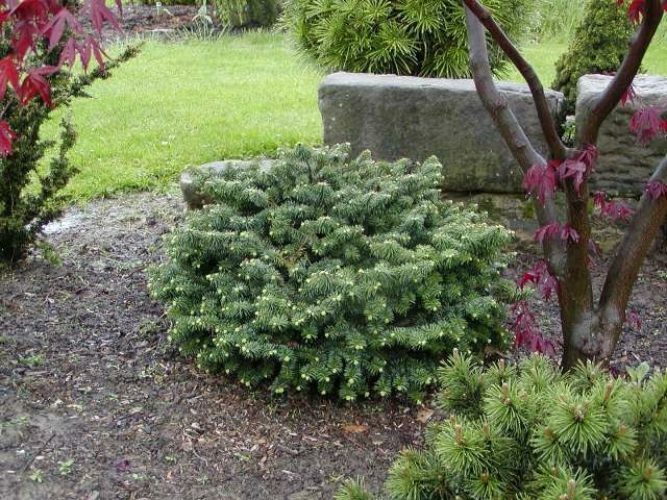 Abies balsamea 'Nana' is ubiquitous, one of the most popular and easy to locate conifers in the nursery trade. 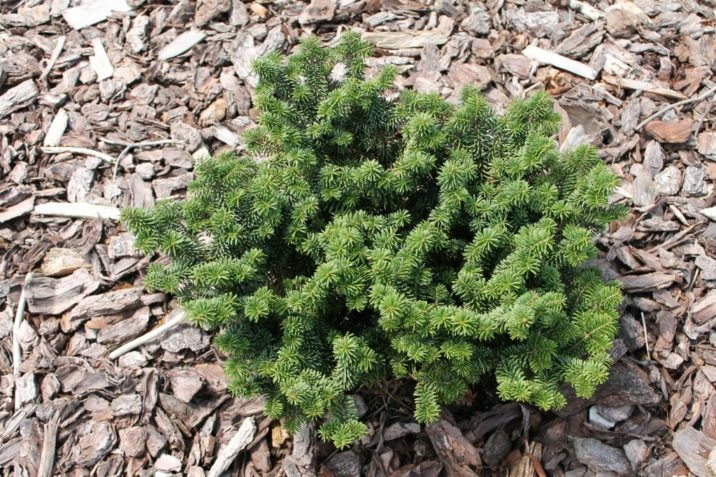 It is similar appearance to A. balsamea 'Globosa' and 'Hudsonia' and just as desirable with its dark green needles and attractive pale green new growth. 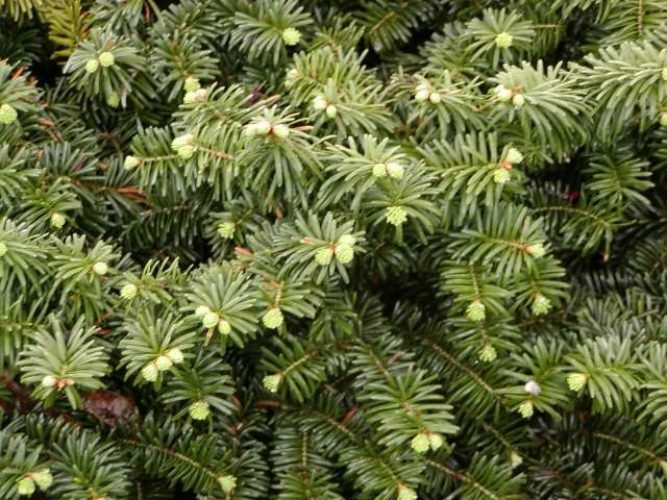 It differs from most Abies in having its needles all around the stems, and not in the typically flattened 2 rows. In ten years, a mature specimen will measure 24 inches (60 cm) tall and 30 inches (75 cm) wide, a rate of growth of 2 to 3 inches (5 - 7.5 cm) per year. 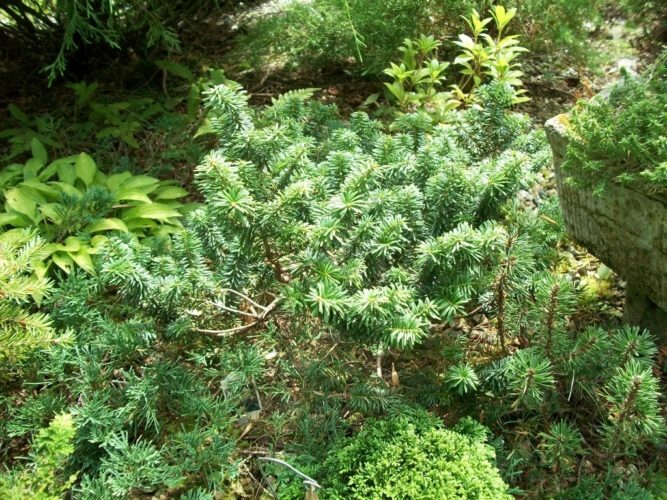 'Nana' is a very old and reliable dwarf Balsam fir cultivar that originated in the U.S. before 1866. It was first described in 1866 by gardener-botanist David Nelson. Abies balsamea 'Nana' This specimen is approx. 12 years of age. Probably not in the best location as it is located under a large Japanese Maple. Should do much better in a dryer sunny location. Abies balsamea 'Nana' foliage. New growth is a bright green color fading to a darker green as summer progresses. Photo from the garden of Alex Ruchelman, July 2013.